Students from Devon and Dorset had the opportunity to grill leading professionals in the fields of journalism, commercial publishing, and arts heritage to find out how they can become future sector leaders at an event organised by Downing College, Cambridge. Twenty-seven students from ten different state schools across Devon and Dorset attended the event, which was hosted at the Condé Nast College of Fashion and Design in London – a key hub for creative training in the capital with close links to industry leaders in the fashion and publishing world. 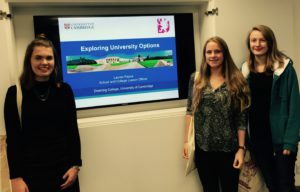 The event utilised Downing College alumni and staff, who provided insight into their career journeys from their time as students at Cambridge to their early professional roles and current positions. 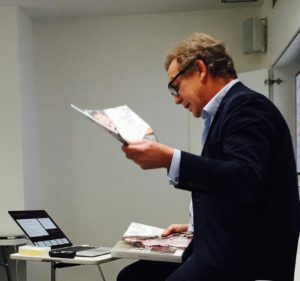 Chris Hughes, International Project Manager at the Condé Nast College of Fashion and Design, spoke about the ever-changing face of magazine publishing in the digital world and the varied and exciting challenges he encounters in his role. 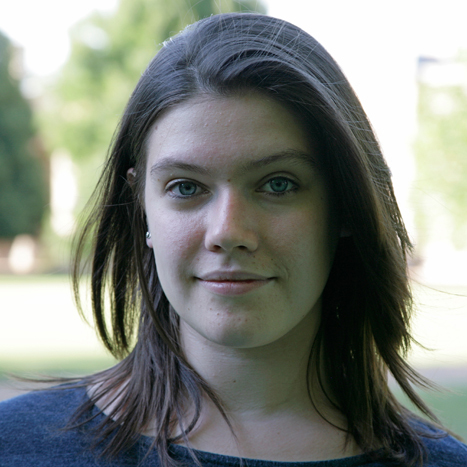 This was followed by a talk from Lara Prendergast, online editor at The Spectator, who told students about the amazing places journalism has taken her, including a stint in India working for The Financial Times and Vogue India. She also encouraged the students to grab opportunities to gain experience, citing her beginnings writing, commissioning, and editing one of Cambridge University’s student newspapers as a particularly formative time for her career ambitions. Chris Hughes in action using Vogue magazine to demonstrate how integral advertising is in the magazine publishing industry! “Having grown up in Cornwall and studied as an undergraduate at Cambridge University, I like to think that I draw from the region’s cultural past in my ongoing work. After studying for a PhD on modern art in St Ives, I am now working as the curator of Downing College’s recent addition: the new Heong Gallery. The South West has played a large role in my work for the Gallery so far. The first exhibition, Generation Painting 1955–65, included work by St Ives-based artists Peter Lanyon and Patrick Heron. Our third exhibition, Portraits of Place draws from the collection of Kettle’s Yard and includes work by two key figures in the story of modern art in the town: Ben Nicholson and Alfred Wallis. Here are three Ivybridge Community College – Millie Adams (R), Hannah Green (C), Kirsty Hall (L) with their Discover Downing goodie bags! Students from Ivybridge Community College; Colyton Grammar School; Queen Elizabeth’s Academy Trust; Bournemouth School for Girls; Budmouth College; Corfe Hills School; Gillingham School, and Parkstone Grammar School attended the event – we hope you had a brilliant time!